Although diesel cars have seen a tremendous growth in Indian market in recent years, automotive manufacturers still pack a petrol edition in their portfolio. 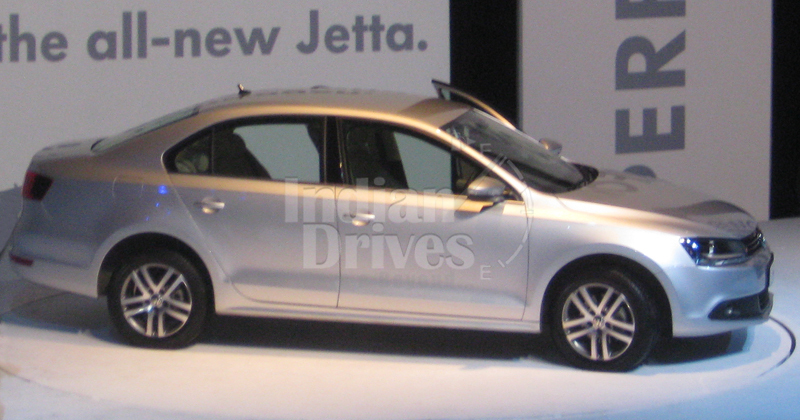 Volkswagen India launched the Jetta TDI last year, and after a long gap, it plans to fill the holes with the addition of a petrol engine to the model. After recent spy shots of the Jetta TSI doing rounds in camouflage, it is certain that an official launch is around the corner. The German auto giant will launch the Volkswagen Jetta petrol to battle against its Czechs cousin, Skoda Laura RS. There is big debate over the engine choice for the upcoming Jetta petrol, with the choice of a 1.8-litre TSI and 1.4-litre TSI. While the bigger unit gives more power and torque (160PS/ 240Nm), the smaller unit is a more practical choice with better fuel efficiency. It churns out 122PS power and 200Nm torque. Transmission option includes a six or seven-speed automatic DSG gearbox, which will drive power to the wheels in the top-end version. To lock horns with the Czechs cousin Skoda Laura, VW will give the Jetta TSI an aggressive price tag of around Rs 15 lacs. Watch this space for official launch and pricing.